PATTANI, 26 February 2014 European envoys have expressed their hope to see peace between the Thai government and insurgents in the deep south of Thailand. 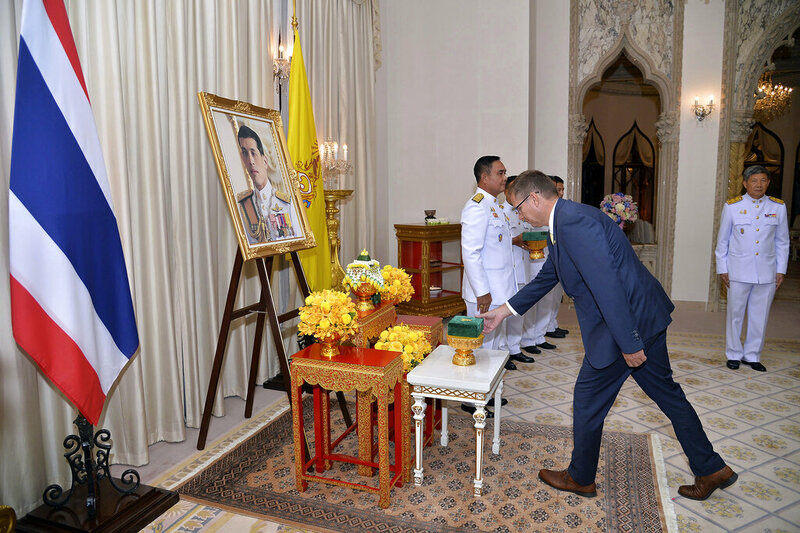 The EU envoys, led by Norway Ambassador to Thailand Mrs. Katja Nordgaard, traveled to the strife-torn southern provinces of Thailand to better understand conflicts that began to flare up a decade ago. More than 5,300 have so far died from daily violence and clashes between Thai government and separatists. On Wednesday, the envoys met with Lt. Gen. Sakon Cheuntrakul, the commander of Army Region Four, who is responsible for security in the area, and listened to the briefing by authorities. The Norwegian Ambassador said the violence in Deep South of Thailand was caused by many factors. She expressed her hope that everyone would be able to live in peace amdist the differences between religions. She also agreed with the Thai government on the peace process to end all conflicts and killings.